I would love to see a historical account for Vom Hofe (the two brothers) and Pfluger reels (Capitals, Templars,...) as well. There are excellent books already published about Edward Vom Hofe and Pflueger. Both of these books and many more are available. They do not get publicized like a Steven King or James Paterson book would be, so, many of them go unnoticed. Anyways, After the Civil War, Mr Fritz Vom Hofe began the legacy of the Vom Hofe's and his sons Edward and Julius carried the reel making art up to the 1940's. I can post info about Vom Hofe and Pflueger if there is an interest here. I was not sure how much history the members are interested in. 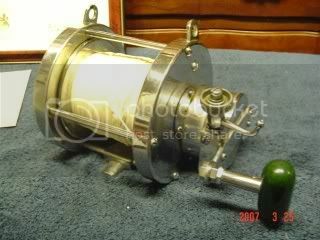 Many of the great reel makers did not survive the industrialization of the production of fishing reels. 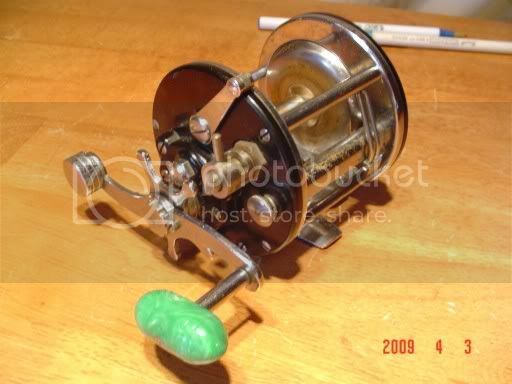 Companies like Bronson and Ocean City partnered with some of the classic makers but the essence of business is profit, you cannot build a Hand Made Vom Hofe, Joe Coxe or Kovalovsky reel and expect to be able to compete with a company like Penn, consequently, the classic makers disappeared but many of their reels survive. --Julius Vom Hofe--B Ocean Model--Size 6/O---This reel is named after the man that basically designed and worked out the bugs of star drags in big game reels. 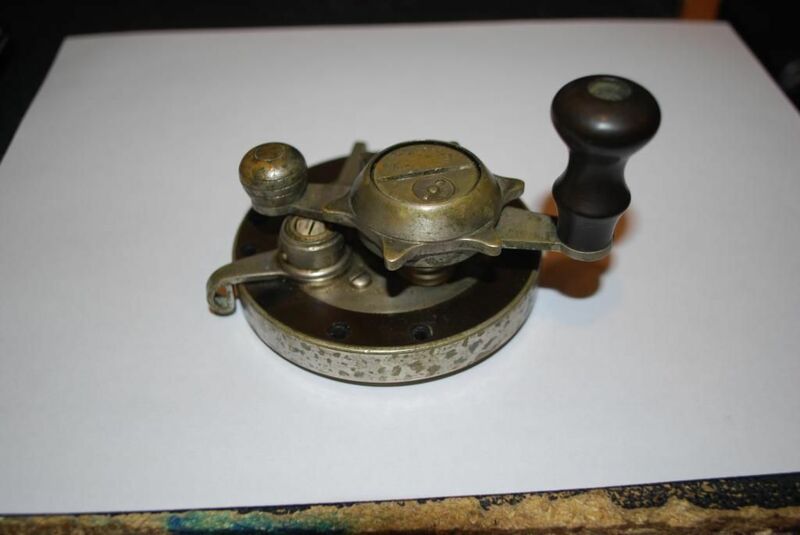 That 1920 Templar is a beauty, too bad I only own the right side plate, but I often grab it and play with it. 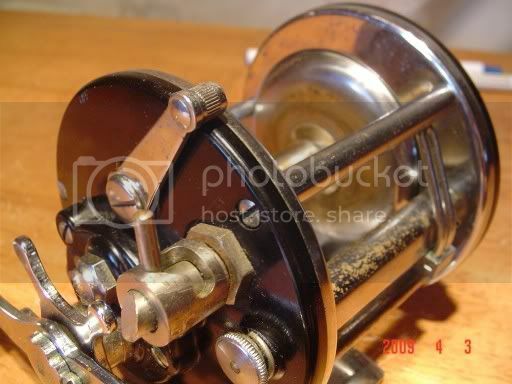 This reel has some amazing features for being almost 100 year old. 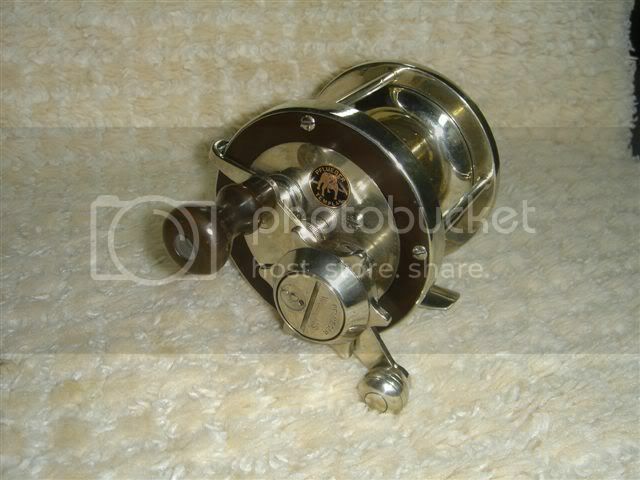 The Pflueger Templar was a interesting reel. 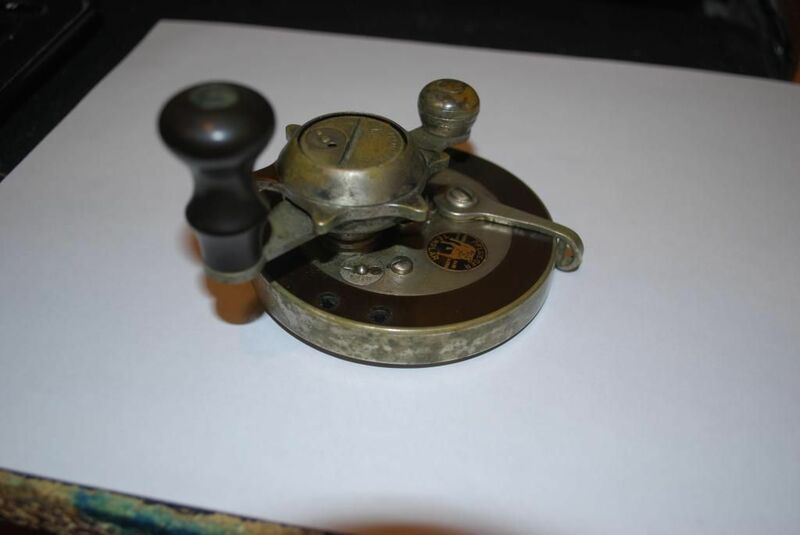 The early models from the 1920's had all their features mounted on the outside of the reel. The drag handle is not a Pflueger part. It was made by a company named Williams and goes back to 1902, it can be installed on a few different brand reels. Pflueger offered it on many of their models along with the external, spring loaded anti-reverse piston. 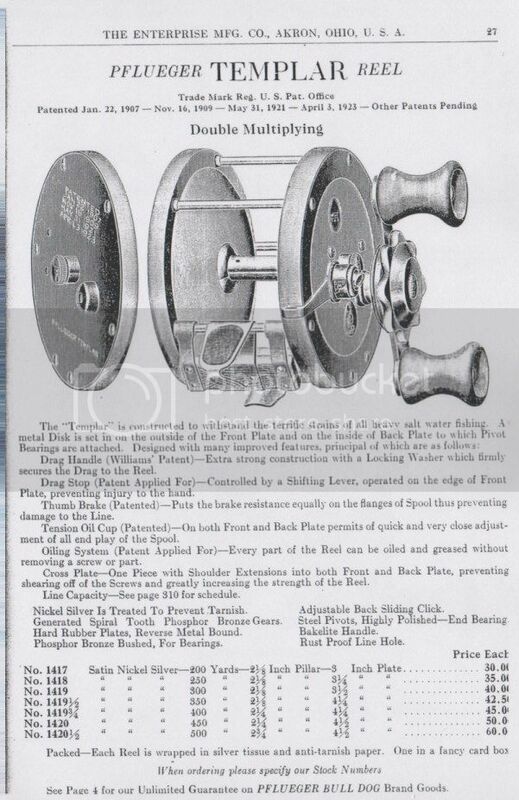 Here is a page from an mid 1920's Pflueger catalog showing how many different sizes the Templar model was offered in. Thanks for the info Mike... always interesting. I should send the plate to door manufacturers, so they could see how its done, they could use a better design on their locks . That spring loaded anti-reverse piston is amazing and so are other features. 50, 60 dollars was a lot of money then. Thanks for the info Mike... always interesting. The prices in this catalog are a sign of the Roaring Twenties. They are Pre-Depression prices. These prices are what gave Penn an edge. 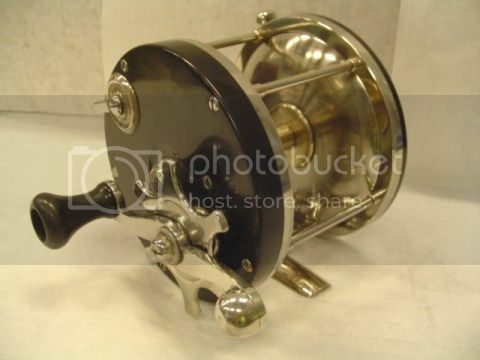 Otto Henze introduced his reels in 1932, the full height of the Depression, so his engineering and prices were adjusted for the bad market, companies like Pflueger and Ocean City had established their pricing and build styles before the Depression and had to restructure their ways of doing business. They never caught up to Penn. Pflueger eventually got out of the Salt Water market for the most part and we all know what happened to Ocean City. Mike - Just received my copy. Thank You for the amount of time and passion you put into this! The sheer amount of info is overwhelming. I think I'll have to go chapter by chapter because just leafing through it got me mesmerized. I especially like the 1957 letter from the V.P. at Penn - he basically said fishing is good for your emotional and physical health. I showed it to my wife and said...."See!" Again, our sincere thanks in this endeavor. You used my research to make a point with your wife! I guess I am in trouble now. I'll admit to referencing your book on several different occasions that kept me outta the doghouse. Thanks Mike, your great publication has paid for itself many times over, and quite certain it will again and again. You used my research to make a point with your wife! I guess I am in trouble now. Huh? My next book, which covers the same era from a different perspective, is very near the presses and it has a price guide. Fisherman's wives are going to put a price on my head!! If the wives are seen with your book and a calculator it could be the collectors posting the reward . There of course there is also the distinct possibility that some collectors may find that some of their coveted 'investments' are not quite worth what they have got into them.